Cathedral City is located in the Coachella Valley of Riverside County, California and is the county’s 10th largest city. We are a business and resort community located 110 miles east of Los Angeles and 115 miles northeast of San Diego. Sharing a border with Palm Springs, and incorporated in 1981, the city has a permanent population of over 52,000 and is one of the fastest growing areas in the country. As our community grows, so does our need for top-notch law enforcement professionals. Our department affords tremendous opportunities across a diverse set of professional disciplines from SWAT and K-9 to Investigations and Special Enforcement. 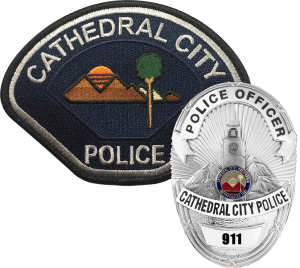 If you would like more information about the Cathedral City Police Department or have questions about our agency, please feel free to browse through our website and contact us directly for more information. 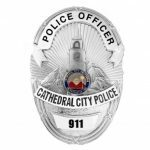 The Cathedral City Police Department welcomes diversity, encourages innovation, rewards employee commitment and fosters community involvement.